For the ordinary soldier, modern warfare is an impersonal business over which he has little direct control. For the sniper, however, it is a deadly and personal confrontation – with only one winner. This best-selling book examines sniping’s historical background, from its origins in the American Revolution through the two world wars to more recent conflicts, including Vietnam, the Falklands and the Gulf War. An authoritative account of this most important of military skills. 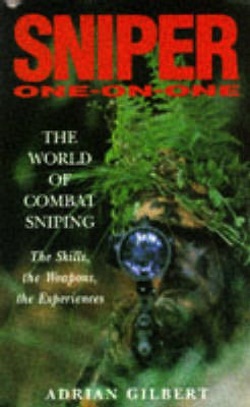 Complementing Sniper One-on-One, this book selects vivid eye-witness accounts to describe the training of a sniper, how he operates and how effective his is on the battlefield. The sniper is able to tell his own story: what it feels like to look down a telescopic sight and observe the face of the man he is about to kill; the ordeal of operations behind enemy lines; and the boredom and exhaustion of hours spent motionless waiting for the perfect shot. 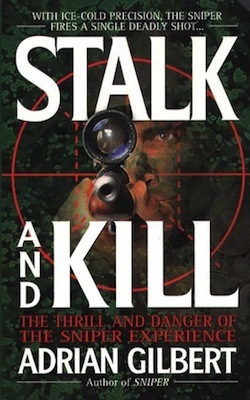 Stalk and Kill is a detailed and graphic examination of sniping in the field.